The Affenpoo, a mixture of an Affenpinscher and a Poodle, is a small crossbreed, notable for overall good health. Poodles are notorious for their eye problems and other health issues, but most Affenpoos are lucky enough to be healthier than their parent breeds. 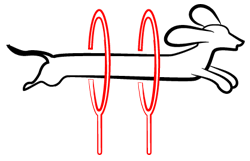 Of course there are a few minor health issues to be concerned about, especially as your Affenpoo ages, but most of their health problems are manageable with consistent treatment. Ear infections are usually caused by underlying issues, such as skin allergies or bad bacterial strains. Some bacteria become resilient to treatment overtime, so it takes several rounds of two separate types of antibiotics to treat both the ear infection and eliminate the bacterial cause. Symptoms include itchiness, constant scratching, whimpering when ears are touched, dry outer ears, red inner ear, and clear fluid leakage. Parasites are classified as fleas and mites in the dog world. The allergies spawn from parasite bites. These bites can cause severe itchiness, inflammation, hair loss, grumpiness, and dry skin. Vets usually recommend a good flea treatment, antibiotics, and a medicated dog shampoo to combat allergic reactions caused by parasites. You can ensure your Affenpoo lives a long and healthy life by taking them to the vet at least twice a year, feeding them a nutritious, wholesome diet, and walking them for exercise at least twice a day. The average lifespan for an Affenpoo is between 9-12 years. Social, affectionate, and loyal, the Affenpoo is a friendly pup with a naturally sensitive, sweet disposition. These pups love spending plenty of time with family, but they can be wary of strangers. She is an overall adorable playmate for children, especially ones she grew up with, however make sure your child knows how to treat a dog with love and respect. Early socialization is key to a well-rounded family dog. The Affenpoo is slightly territorial, especially with her food and toys. She might have a problem with other dogs, so slow introductions and socialization are important to maintaining the peace between your pets. If your Affenpoo boasts more Poodle genetics, she will be more social and easily affectionate towards new people. 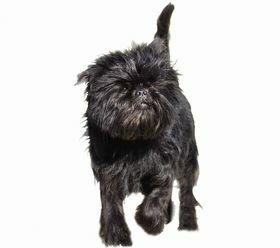 If she leans more toward the Affenpinscher side, she may show signs of aggression at first, but she usually warms up to someone when she senses no threat. Exercise-wise, the Affenpoo is a fairly active, high-energy crossbreed, so he requires at least two long walks per day and lots of play and bonding time. If you have a dog park nearby, introduce her to other dogs as a puppy. This will cut down on her aggression towards bigger dogs, as well as teach her to be accepting and playful towards other pups. Have a fenced-in backyard? Great! The Affenpoo has an independent streak, so she would love being let off the leash to do some exploring and discovering in her own backyard. 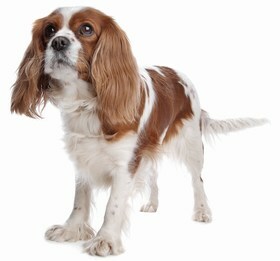 Affenpoos are clever, intelligent crossbreeds who would benefit from professional training classes. Thanks to their Affenpinscher genetics, these pups can be difficult to train because of their natural curiosities and short attention spans. However, if you would prefer to do the training yourself, establish yourself as the alpha of your pack by voicing commands in a clear, firm tone. Be consistent and patient. Never hit or yell at your Affenpoo because this could result in aggressive and destructive displays of severe disobedience. Good, non-violent owners make good, well-trained dogs. 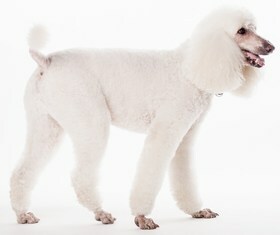 Most Affenpoos inherit the Poodle coat—short, curly, and soft. This type of coat is prone to matting and tangling, so brush your pup at least once a day to eliminate loose hairs and debris. If her coat starts looking a little shaggy, take her to a professional groomer for a quick trim. Bathe your Affenpoo once a month with gentle dog shampoo. Never use human shampoo on your Affenpoo. She has natural oils that protect her skin, and our shampoos strip those oils, leaving her vulnerable to infection-causing bacteria. Clean her ears at least once a week with a cotton swab and vet-recommended cleaning solution. Avoid sticking anything into her ear canals. Instead, clean around the edges and outer rims where you can see. Your Affenpoo will need her nails trimmed at least every 6 weeks. Brush her teeth every night before bed to cut the risks of cavities and severe dental decay. Affenpoos have hearty appetites. Feed her twice a day, 1 cup of high-quality, dry kibble each meal. She should be satisfied after a meal. You will know if she is happy and sated if she goes to lie down or “asks” to go outside. Well-fed dogs rarely beg, especially ones on a nutritious, wholesome diet of lean meats and whole grains. What your dog eats matters should definitely be a priority to you. Invest in a high-quality dry kibble with plenty of protein, fiber, and good fats. The ingredients should be whole and nutritious. No fillers, chemicals, or by-products. Just pure, natural ingredients. This kind of diet will keep your Affenpoo in tip-top physical condition. Make sure her treats are the same nutritious quality as her usual meal kibble. An Affenpoo is a relatively new crossbreed, one that is still too rare to truly pin down a correct price on. 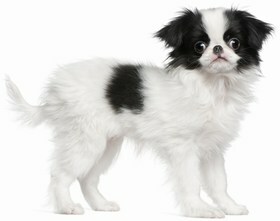 However, most breeders have been known to charge between $600 to $900 for an Affenpoo puppy. You also have to factor in the costs of a collar, micro-chipping, medical expenses (spay or neuter, vaccines, etc. ), toys, nutritious food, and other necessities and accessories. You could wind up paying well over $1,000 for an Affenpoo when you add up all of the expenses. Since Affenpoos are a newer crossbreed, it’s incredibly rare to find one in an animal shelter. If you are lucky enough to find one, expect to shell out between $250 to $300 in adoption fees. Ranking takes into account a few basic factors including cost, skill level needed, high vs low maintenance and how critical regular training is to success. The Affenpoo is rated a 2.5 on the integration scale because of her tendency to be distracted, territorial, and slightly aggressive. She can be trained to be a well-rounded, happy family dog, but it takes determination, patience, and time. Otherwise, she is an adorable pup with a loyal, friendly disposition.